Sydney’s Night Time Economy. Image courtesy Liquor & Gaming NSW. 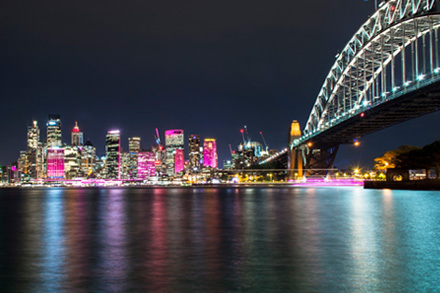 The NSW Government is committed to growing a vibrant, safe and diverse night time economy to enhance the state’s standing as a global destination, and make our cities safe and great places to live, work and visit. What is Create NSW doing? Arts, screen and culture play a key role in building our state’s night time vibrancy. Create NSW is committed to supporting a strong thriving night time economy that enables the arts and cultural sector to thrive while directly contributing to diverse offerings of night time activities that reflect and respond to audiences and communities. To provide opportunities to unlock creativity and activate our growing cities, Create NSW in collaboration with other NSW Government agencies have developed several programs to assist artists, business, industry and communities.